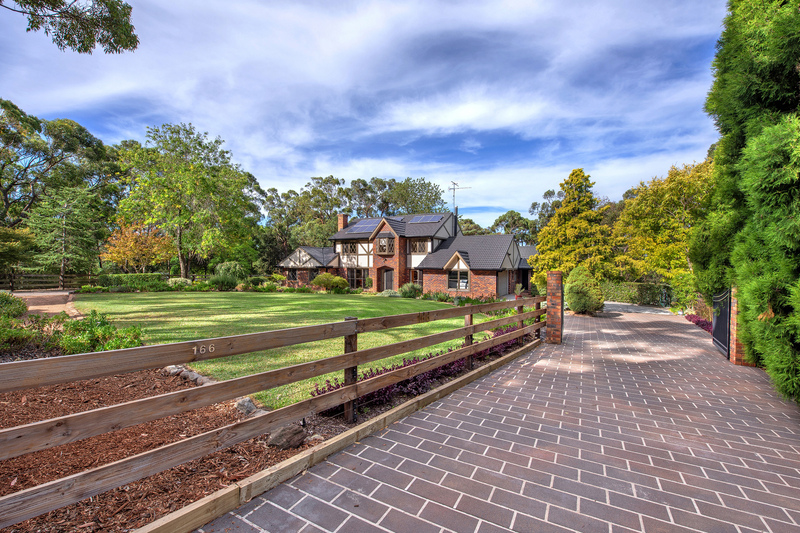 Situated just a short distance along the prestigious Paterson Road, this remarkable family estate has a presence and feel that is rarely found. 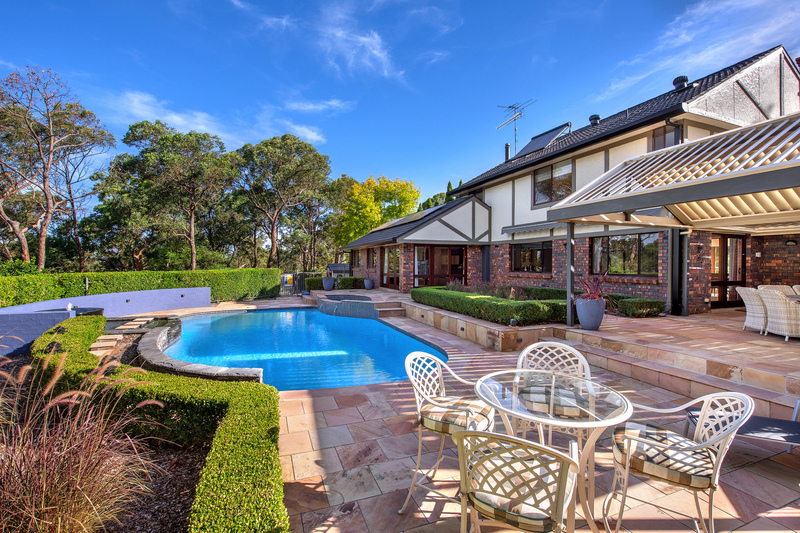 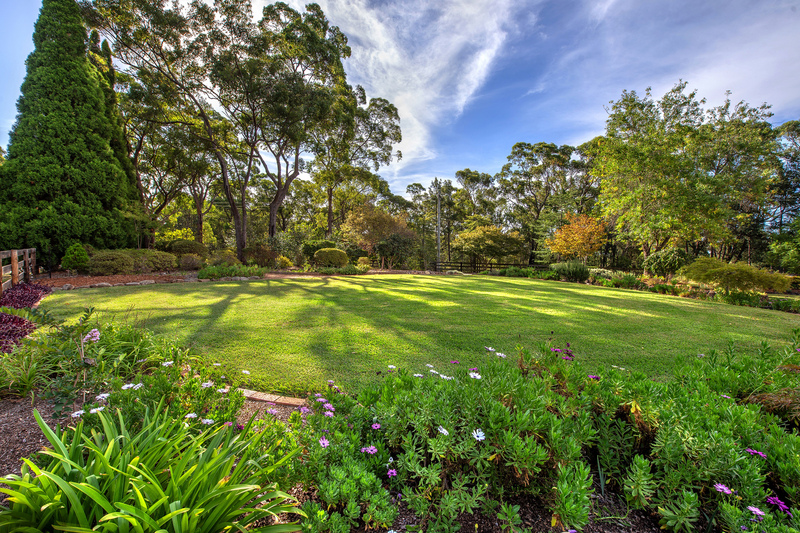 Occupying an incredibly well manicured, fully fenced and irrigated 8374m2 (approx) or just over two acres of park like grounds with stunning mature gardens and unrivalled privacy. 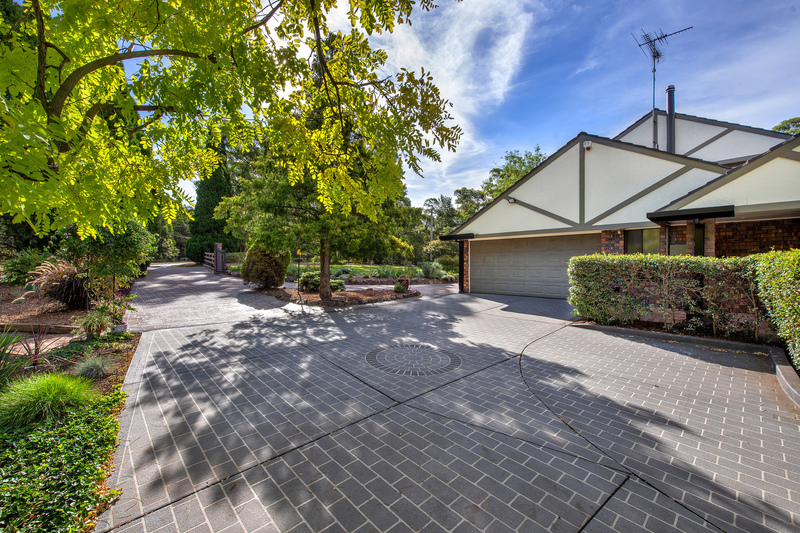 A grand entrance welcomes you on arrival through the automated front gate and circular driveway framed by stunning lawn and gardens. 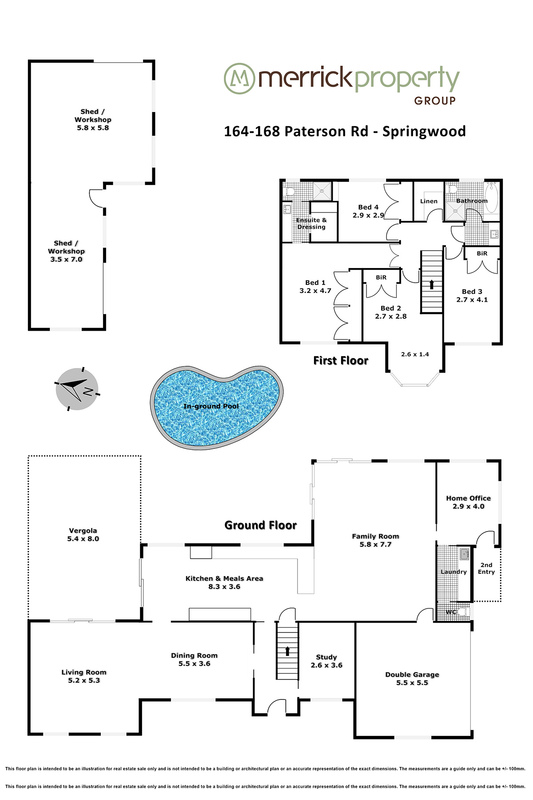 The home itself features four spacious bedrooms on the upper level and two bathrooms including an ensuite to the main, the ground floor is built for entertaining with amazing formal and casual living and dining spaces that compliment the well proportioned kitchen and flow out to the automated vergola, and himalayan sandstone framed in ground pool. 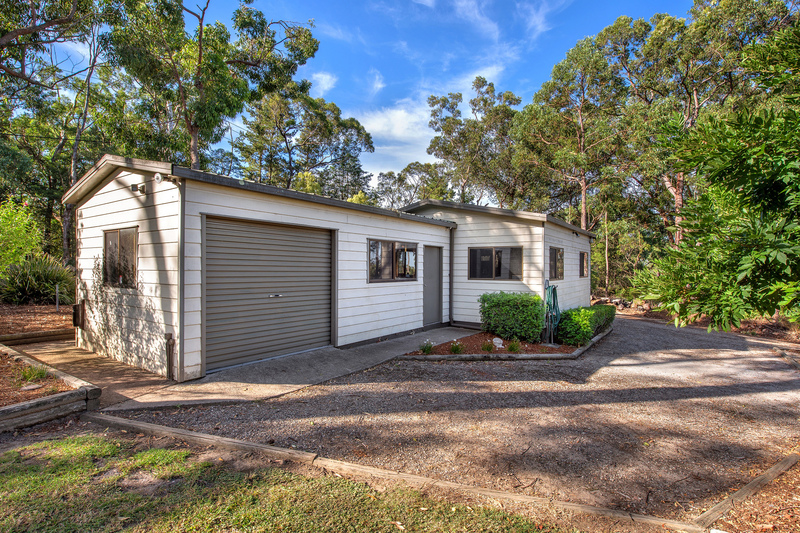 Also on the ground floor are two studies or home offices, one of which enjoys it’s own private entrance for those that wish to work from home. 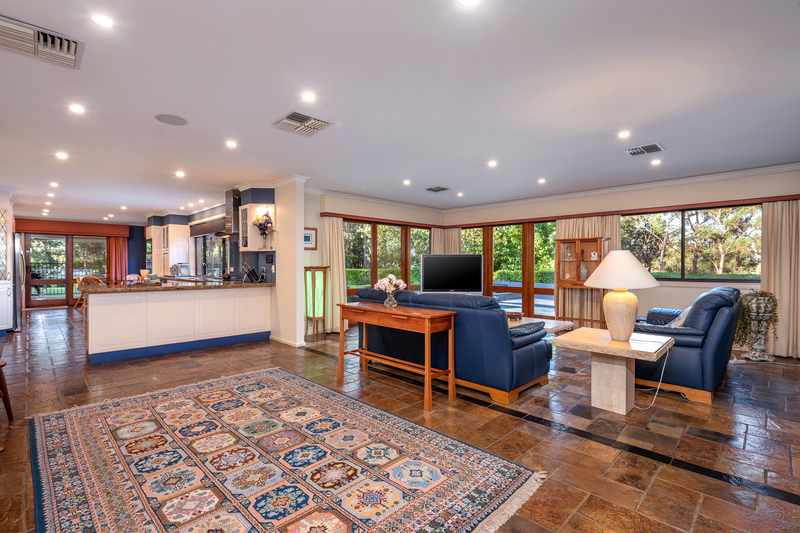 The formal lounge room with its high ceiling is a real feature of the ground floor and the stunning rural and garden views from each and every window in the house remind you at every glance that you are experiencing a very special property. 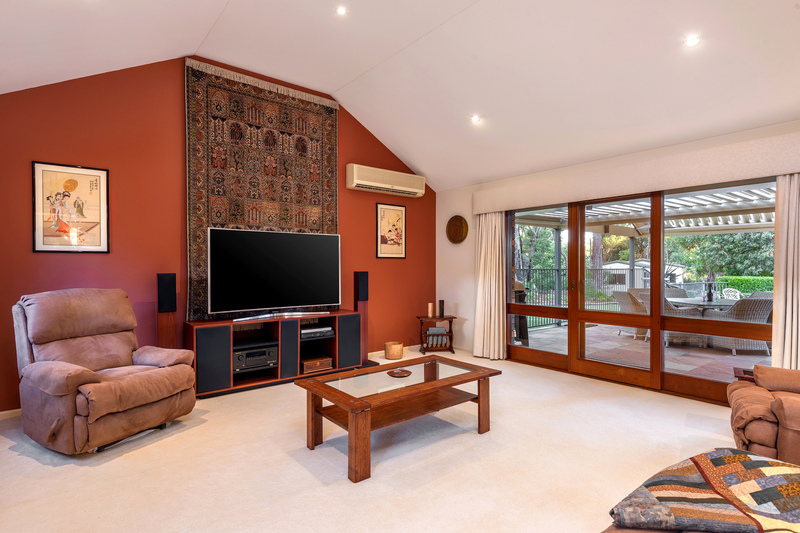 All the creature comforts are here too such as ducted and split system air conditioning, a fireplace, an automatic double garage with internal access, electric front gate, solar panels and solar hot water, a high tech security system, zoned irrigation a 100,000 litre (approx) water tank and so much more. 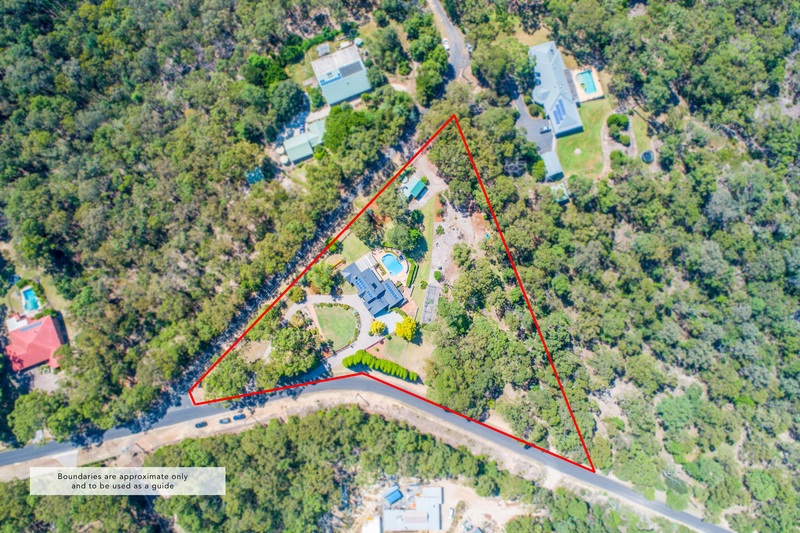 Completing this rare offering is a separate gated entrance that provides driveway access to the rear of the acreage as well as the spacious shed / work shop. 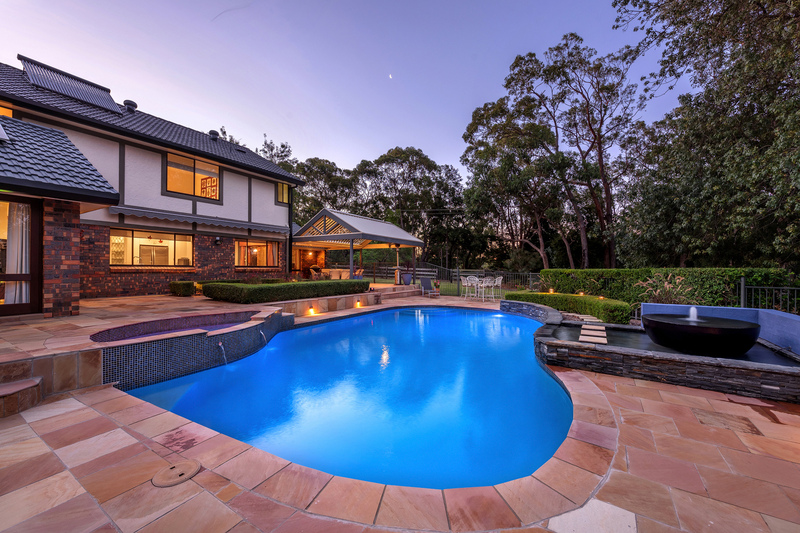 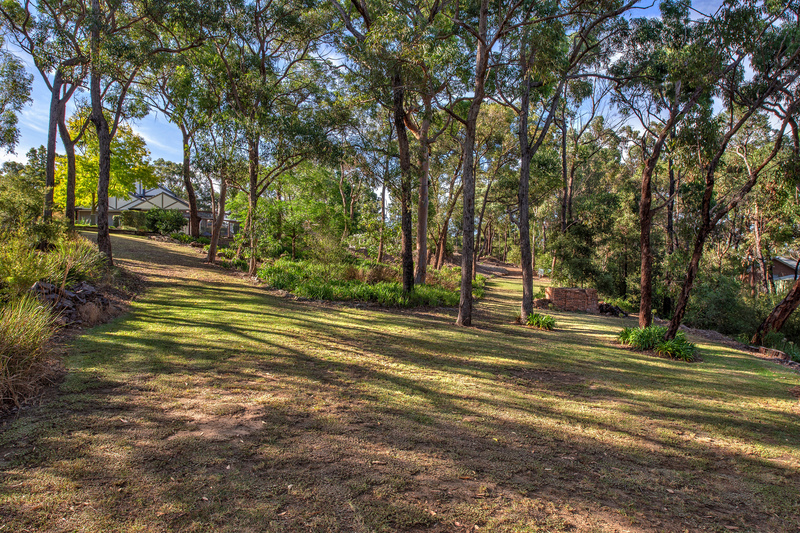 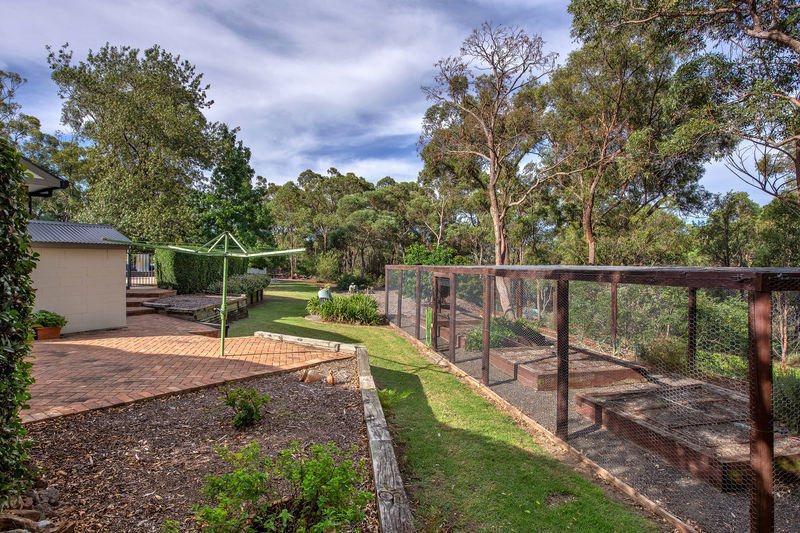 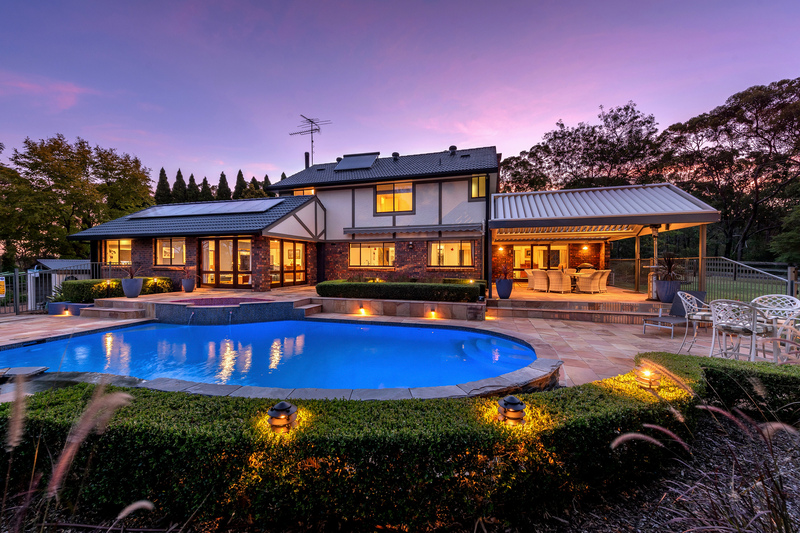 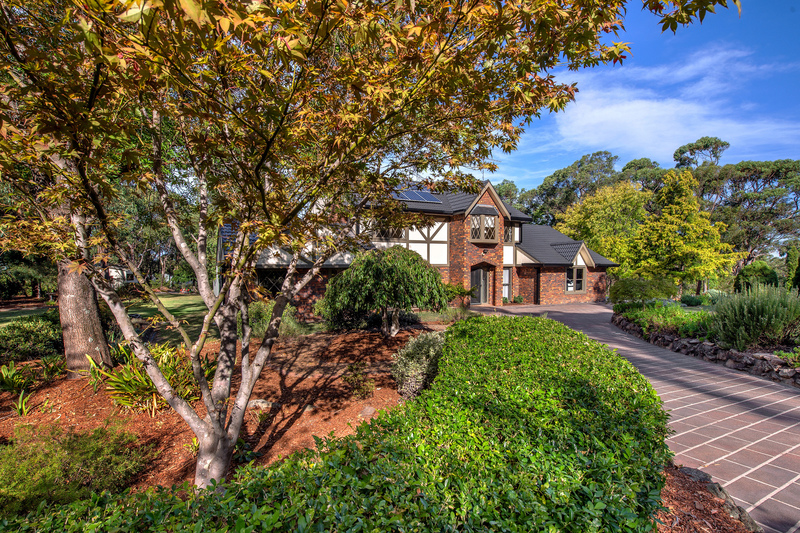 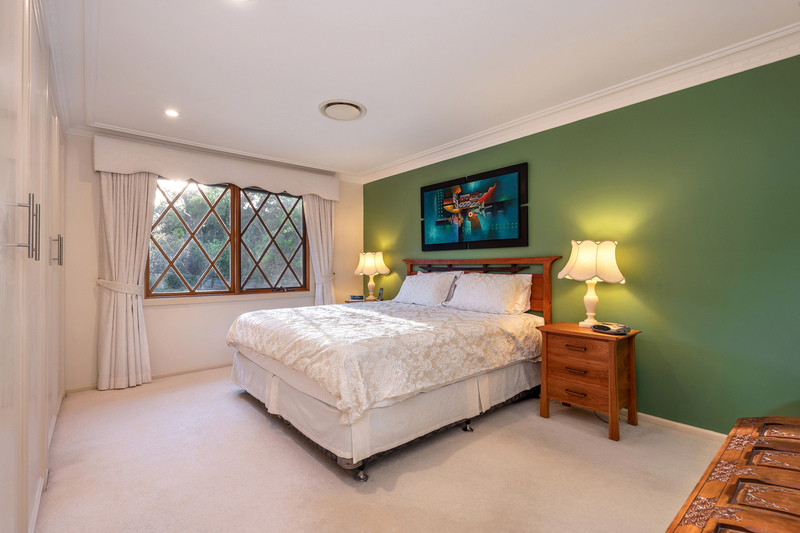 This property provides for a privileged Blue Mountains lifestyle without compromise and is located within approximately 2km of local schools and Golf Course and approximately 6km to Springwood town centre and train station. 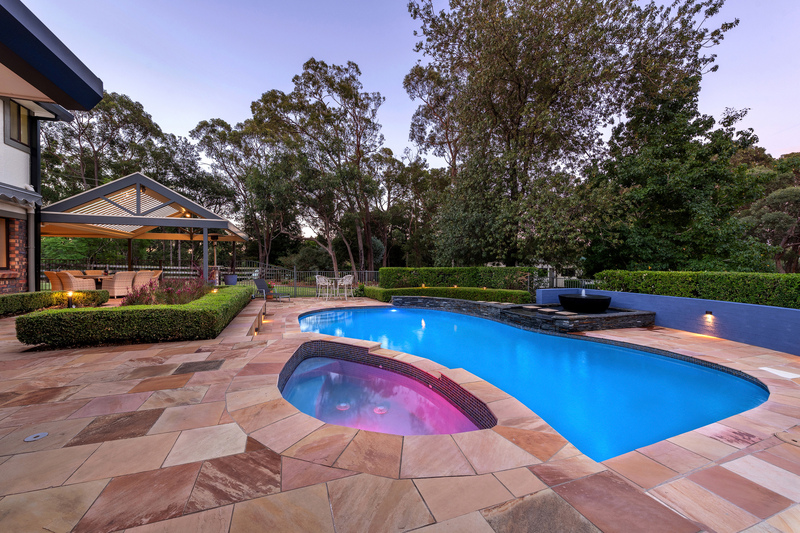 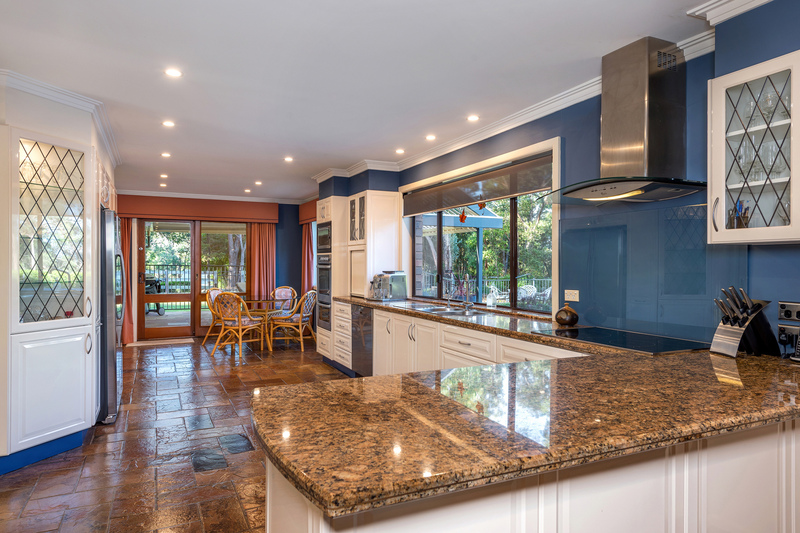 Given the level of quality and features of this property an extended detailed list of features will be made available at inspections.